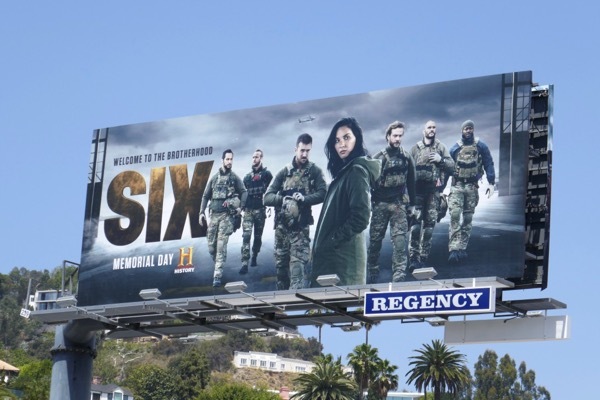 Let us pay our respects this Memorial Day. Today is not just about having an extra day off work and store sales, but honouring those U.S. military men and women who have fallen in service to their country. 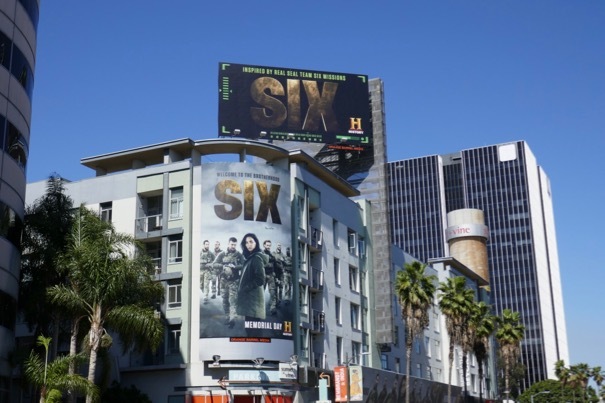 With that in mind the History channel is tapping into this sense of patriotism and respect for the soldiers and veterans alike, by debuting the second season of their military drama, Six. 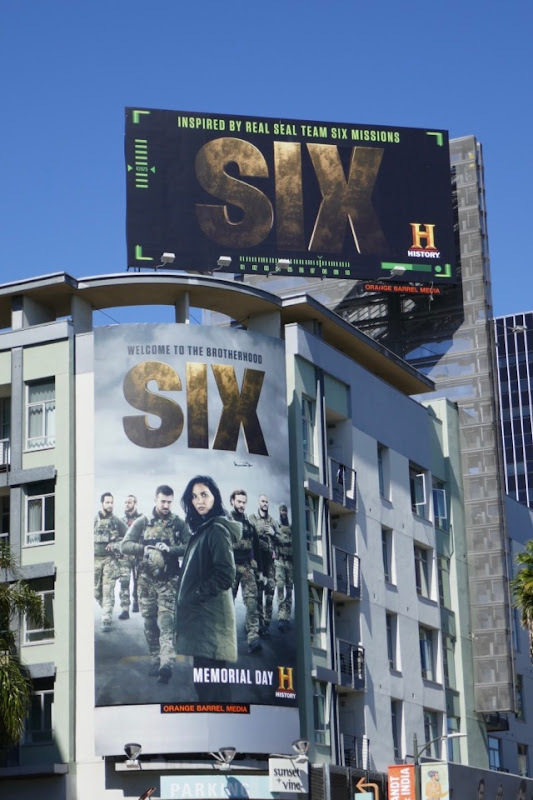 The ten-episode sophomore season follows the Navy SEAL Team Six as they embark on a mission across Eastern Europe to destroy the terrorists who killed their former team leader 'Rip' (played by Walton Goggins). 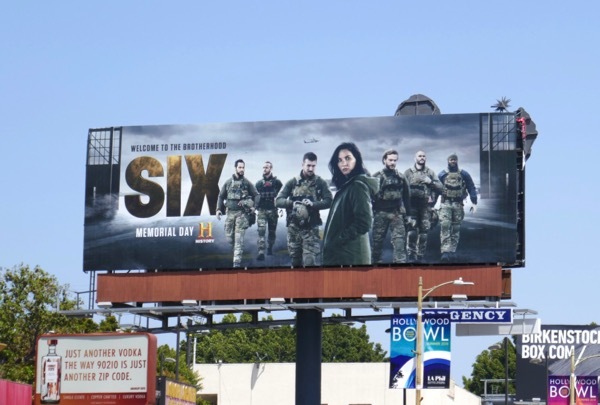 Led by Barry Sloane's 'Joe "Bear" Graves', they are helped by newcomer to the series, Olivia Munn, who plays the resourceful and ruthless CIA officer 'Gina Cline'. 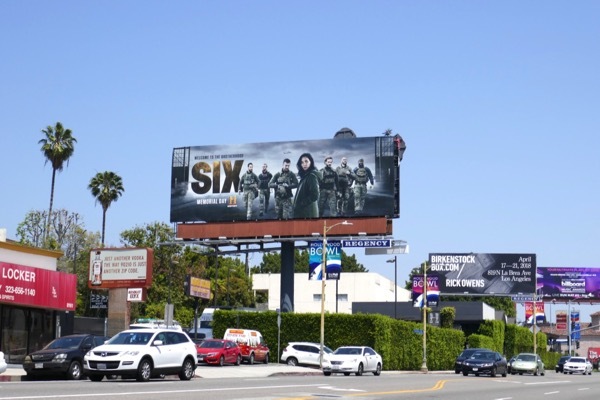 These season two billboards were spotted in multiple locations along Sunset Boulevard and Santa Monica Boulevard from May 11 to May 14, 2018. 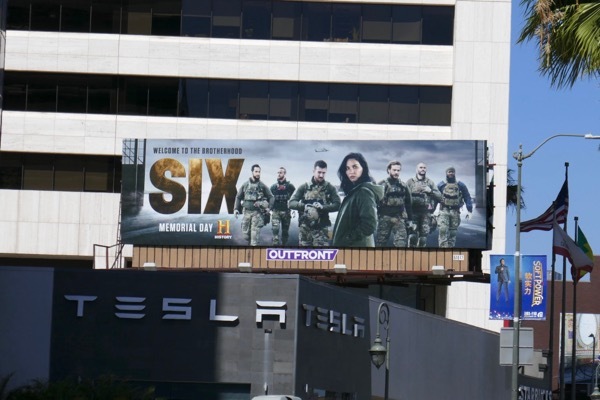 Fans of History's military drama can also check out these season one and awards consideration billboards for Six. 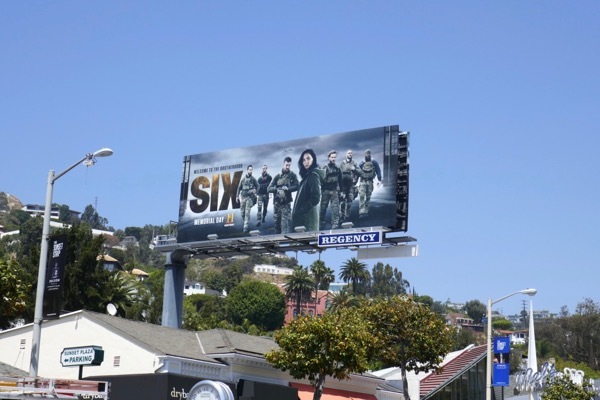 Fans of Olivia Munn can also see her as 'Psylocke' in this X-Men: Apocalypse movie billboard and in these Mortdecai movie billboards. Welcome to the brotherhood Olivia.